Often labeled “sharabi-kebabi” or “adhe Mussalman” (half Muslim) because of their gastronomic adventurousness, the Mathur-Kayasthas have always considered themselves to be sophisticates, well versed in matters cultural—and culinary. Often, in a household, the passion for music (or dramatics and urdu poetry) would only be overshadowed by an interest in food, with dining room conversations routinely centred around the next meal! Traditionally, the kayasthas, who trace their roots to Chitragupta, the mythic “account keeper” in the court of Yama, Lord of Death, were accountants, ministers, and members of the judiciary in not just the Mughal and Muslim courts of medieval India but also in the many princely states, great and small, that were to dot British-India subsequently. At this time, members of this educated, close-knit community — that took great pride in its learning — were to also find their way into the administrative services and the judiciary, something that has only recently been overtaken by a near universal fixation on “software”! The community’s unique Ganga-Jamuni culture is no doubt the result of close interaction with the ruling Muslim elite in whose courts the menfolk often occupied favoured and high positions. This cultural affinity could be seen in the preferred attire of the men (flowing, crisp, chikan kurtas or formal bandhgalas), their luanguage (urdu, over Hindi, the bhasha dismissed as that of the “pandits”), their music and poetry (Hindustani classical, baithaks would be held at home and it was common for both men and women to indulge in some form of amateur shaayari, or, at least, rhyme-making) and, of course, in their cuisine — which was a unique amalgamation of Hindu Vaishnavite traditions that the womenfolk remained moored to (evident in a firm espousal of vegetarianism and religious practices) and the Muslim courts-inspired cosmopolitanism of the men. Spread over much of north and central India—Delhi, Uttar Pradesh, Rajasthan, Madhya Pradesh, and Haryana — the community, and its, food, was also inspired by regional influences. And there were subtle culinary (as well as cultural) differences between a Mathur home in, say, Daryaganj, old Delhi, and Jaipur, Benares or Gwalior. Of course, marriages and the fact that the community, which saw itself as “progressive” was always ready to adopt newer, (trendier) influences, meant that recipes were often exchanged and regional cultures got mixed up. Each household, indeed, would thus boast of its own unique repertoire, comprising both classics and newer dishes entered into the family tomes thanks to the chachi from Kanpur or the daughter-in-law from Delhi! In a single meal, thus, it would be quite possible to enjoy kalmi vade (Old Delhi style), shaami kebab (with their Avadhi moorings), mangore (essentially from Madhya Pradesh), and take paise (most probably a take on the Rajasthani gatte). However, there are some classics that you may always expect from a Mathur table. 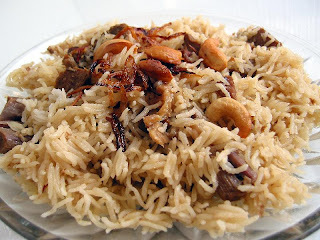 These include Yakhni Pulao, Badam Pasande, and kofte, made of minced mutton, and typically enjoyed with puri, not “Muslim breads” like roomali rotis that a “Hindu kitchen” would have been ill-equipped to make (though these were sometimes sent for from the market). In the old days, meat—the cuisine was mutton-centric, chicken being largely unknown — would be cooked in an outer kitchen, separate from the “pure” inner one. However, as meat-eating became central to the cuisine, more and more women of the households would start cooking it without qualms, taking pride in their delicacies, yet secure in their religious roots by not actually eating any of it. 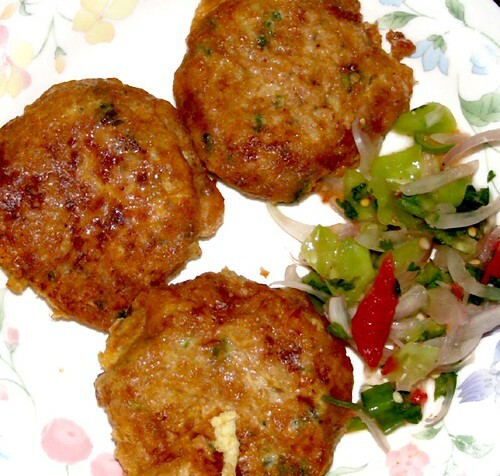 Turning out a pressure cooker full of the most aromatic of koftas in a jiffy for an afternoon lunch became routine for these homemakers, who stuck to their vegetarianism nevertheless. But if non vegetarian delicacies formed the heart of this highly stylized, often laboriously made cuisine, the vegetarian strand was important too. Kadhi-chawal or pooris with safari aloo (dry potatoes, coated in masala, which would stay during long journeys in trains) were staples. The vegetables were all cooked well, with onions and generous quantities of oil, in stark contrast to contemporary ways, and even simple seasonal produce would be sought to be transformed into a delicacy by stuffing it with besan, dal, dry masala or potatoes. (Paneer was unknown and only began appearing in home menus post Partition when Punjabi food became popular). So, you will also find a surfeit of bharwan or “stuffed” veggies on the Mathur menu—with everything from bottle gourd to bitter gourd to karamkalla (cabbage) and okra being painstakingly “filled” and dum-ed or fried. If the women—and some men—were vegetarian, they were hardly spartan, and concocted their own gourmet meals much before the soya-inspired mock-non vegetarian fare that we see in south-east Asia and China became a known quantity. Vegetarian recipes, approximating (or thought to approximate) non vegetarian flavours and appearances were concocted. Banana “fish” or moong dal shaamis as well as kaleji ki subzi (“liver” subzi), once again made of lentils, were much appreciated. There was also a special focus on pickling (lasode ka achaar, kathal ka achaar or even kanji vada, where dumplings are pickled in seasoned water, were favourites) and major festivals such as Holi and Diwali saw the appearance of besan papdis, unique to the community, papad like, but made fresh with a much more delicate seasoning. As with other traditional communities, fasting and feasting, both involved intricate culinary preparations. 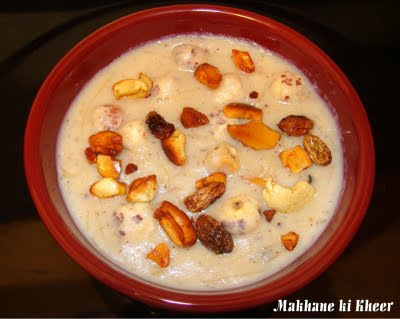 The makhane ki kheer on janmashtami (fasting food) being as sought after as the kaliya (mutton curry), made mandatorily on Dussehra, to end the nine day period of abstentation before that. The food may be disappearing from our tables these days, cooked only on special occasions now and in a handful of traditional homes, but it was a cuisine of secular India— albeit unintentionally. You have a gorgeous blog! My brother in law has been to India and he said it was amazing, beautiful place, especially the food. Interestingly, why was chicken relatively unknown? I would have imagined otherwise. Hi Adrian, tks. In Hinduism, chicken was considered “unclean”, since the farm birds fed on scraps etc. So both chicken and eggs were notfavoured, except in the north-west/undivided Punjab. Goat meat was traditionally popular (as also game, hunting is now banned in India). Chicken came post partition, from Punjab.